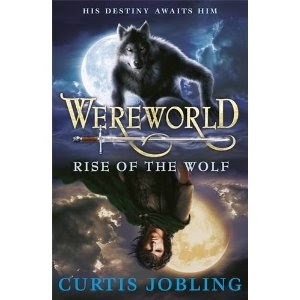 Only one sentence from me but it's an awesome one from the absolutely outstanding Wereworld: Rise of the Wolf by Curtis Jobling. "Up until the abduction he'd felt he had the higher ground, morally speaking, although now he was the first to admit that he may have stepped over a line." kidnapping will do that to someone. nice teaser. Genius idea, and thanks for using Wereworld for the quote! Blog looks great. LOL love that line! Love the book, but that was one of my fave lines. LOve the cover of this one and it sounds awesome, adding it to my list. What a funny line! If the whole book has the same tone, I think I'm going to like this one a lot.